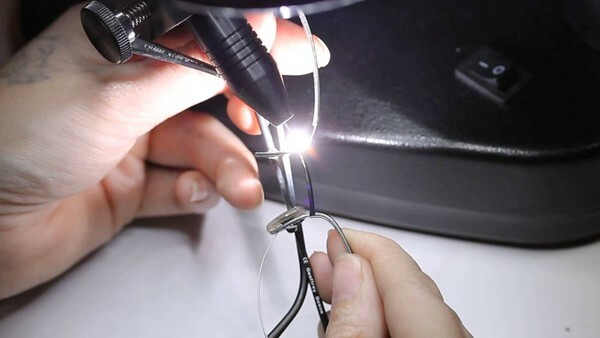 Did you know we repair eyeglasses? We can repair the majority of eyeglass frame breaks, saving you the expense and hassle of purchasing new frames. Most frame repairs are done in less than 15 minutes and cost $20. We guarantee these repairs and will repair them again at no charge if they break in the same spot under normal wear. We use state of the art Laser and TIG welding systems that are fast, durable, and produce a much less noticeable repair spot than traditional soldering methods. If you've broken your frames and can't be without your eyewear, Aaron's Jewelry is the place to get a quick, quality repair at an affordable price. Come in anytime. No appointment necessary.